Is Underground Construction Under Jerusalem Preparing for Third Temple? No, But... - Breaking Israel News | Latest News. Biblical Perspective. When Philip Gilchrist, a non-Jewish architect from New Zealand, visited Jerusalem on Tuesday, he was shocked to see what he was sure were the beginnings of construction of the Third Temple. Gilchrist mistook simple maintenance, shoring up of the bases of the walls, for pre-Messianic construction, but his innocent mistake bears a powerfully inspirational message. 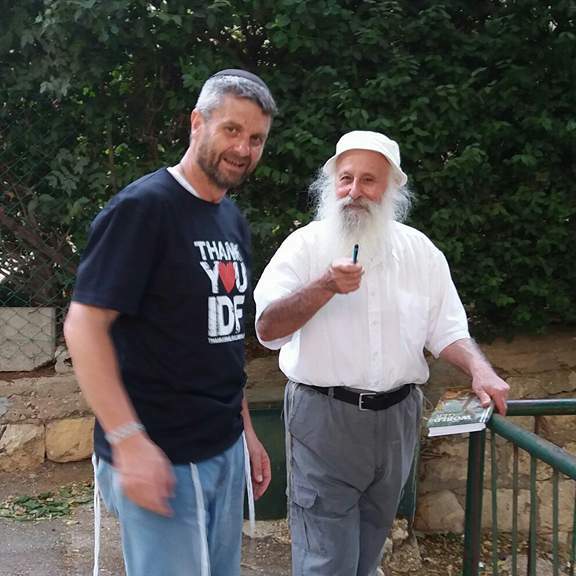 Gilchrist, who prefers to be called Yochanan Ben Yosef Gil Yisrael, has had a longstanding, long-distance relationship with the Temple. He has run his own architectural firm in Dunedin New Zealand for over 15 years. He was physically distant from the Holy Land and has no family connection with Judaism, though he is investigating his genealogy. 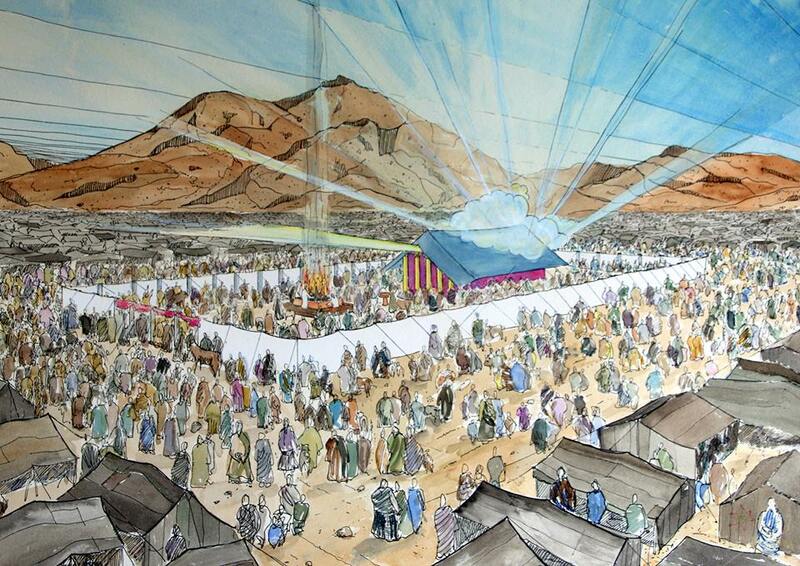 When he was studying architecture at Auckland University, his father, a devout Christian, asked him to do an illustrated study of the Tabernacle. Gilchrist complied, later adapting his labor-of-love to be submitted as his final thesis. His study included the Temple and its utensils. After arriving in Jerusalem last week and touring the Temple Mount Compound, Gilchrist toured the tunnel complex that runs underground adjacent to the retaining walls of the Temple Mount. 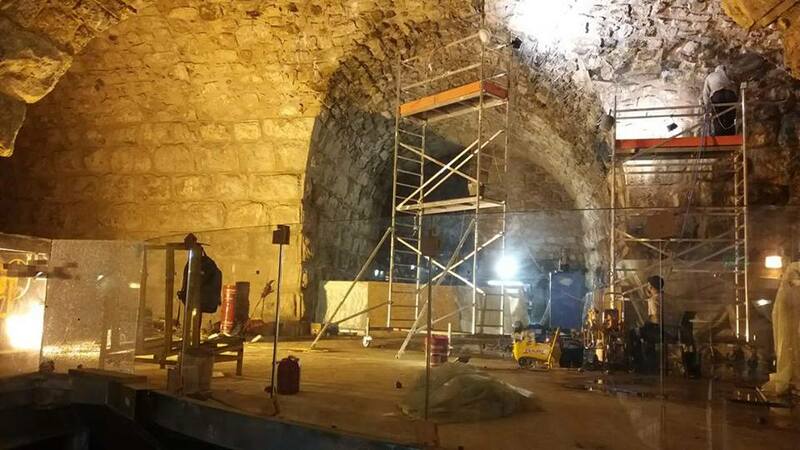 The tunnel complex is open to the public and is undergoing renovations intended to strengthen the ancient walls supporting the structure above. At the same time, archaeologists are weaving through a political minefield in order to study the unique site. When Gilchrist viewed the construction he was shocked. Perhaps more amazing was that the work was being carried out by Muslims who seemed quite happy to be working on the Jewish Temple. Perplexed by what he had seen, Gilchrist consulted with Rabbi Chaim Clorfene, who has written authoritative books on the Third Temple. Rabbi Clorfene assured Gilchrist that the construction had not been contracted by any authority higher than the Israeli government, but the conversation had a powerful impact on the rabbi. But Gilchrist’s enthusiasm and refreshingly simple perspective had Rabbi Clorfene reconsidering. Rabbi Clorfene cited Rabbi Shalom Mashash, former chief rabbi of Haifa, who said that Temple will be built when the Arabs beg us to build it. Temple Movement chairman Yaakov Hayman would have preferred Gilchrist’s conclusion to be accurate. He knew that the construction surrounding the Temple Mount was ongoing and not connected to any greater Messianic vision, but as a professional building project manager, he understood Gilchrist’s confusion. “The next step, as the Jewish sources describe, is when the other nations, including Islam, beg us to make the Third Temple,” Hayman noted. Gilchrist is continuing his tour of the Holy Land, and there may be more surprise observations in store.